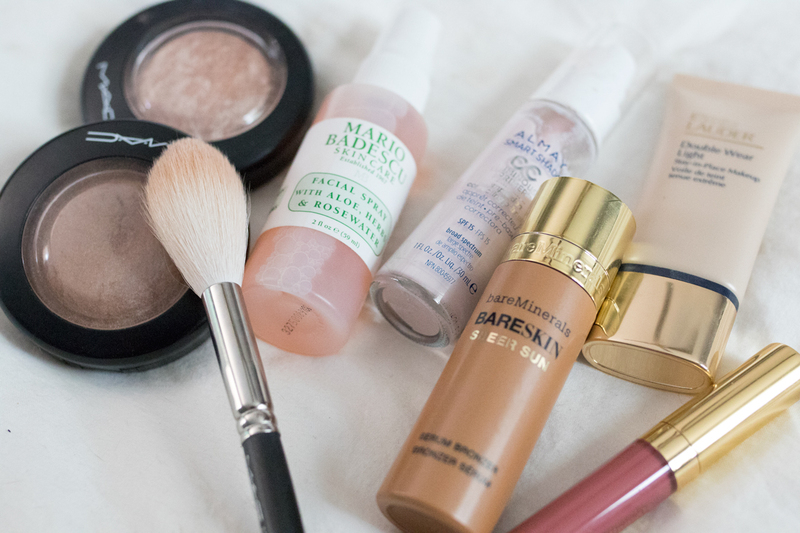 Depending on where you live, summer is either in full swing or is fast approaching, so I thought I would share some of my summer beauty essentials & favorites with you today! While many aspects of my beauty routine stay the same throughout the year, I do change things up a bit to adapt to the weather, seasonal colors, etc. This is my absolute holy grail hair product/best hair secret any time of the year, but especially in the summer when I want messy waves. I have very very fine hair, so this adds a ton of texture without making my hair sticky or weird at all. At $5 or $6 it's an absolute deal too. I legitimately stock up on these when I go to Ulta or Target because I never want to run out! 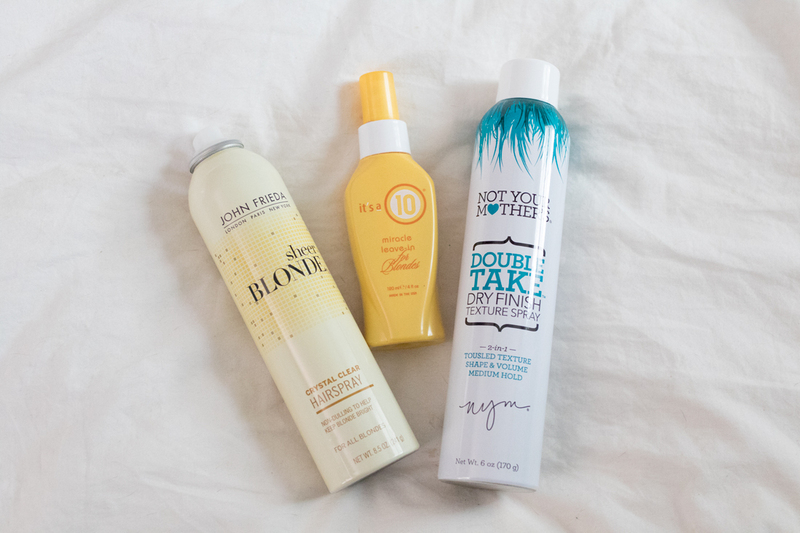 I picked up the one for blondes, but I think a leave-in spray is an essential for everyone, especially if you color your hair. 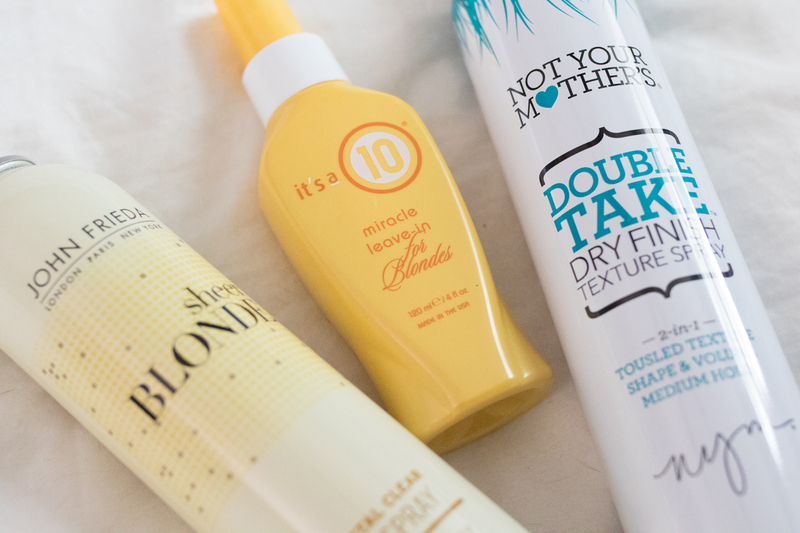 This one helps to lock in moisture and protect your hair from the heat and sun. I've also used one by 12 Benefits and it's great as well. This is a blonde-specific product, but if color damage makes you hair look a little dull I would recommend this! It holds really nicely without creating the dull film most hairsprays create. 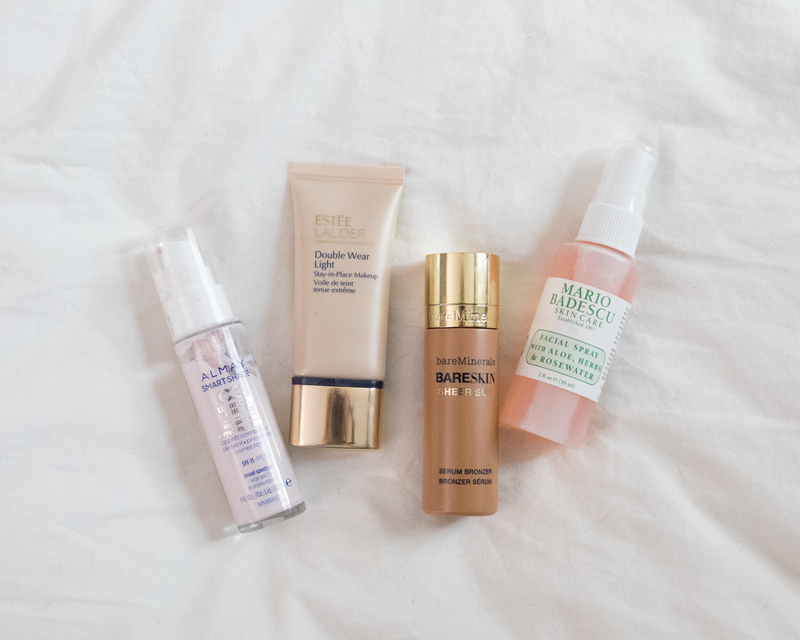 In the summer we have to show more skin by default, so I wanted to quickly share these 3 products that have been helping to keep my body and skin looking better! I just picked this up on a whim last weekend, but I really like it already! The smell is really pleasant and delicate (unlike a lot of body lotions...ick), the consistency is good, and I've found it to be a really nice lightweight moisturizer perfect for hot, humid days. 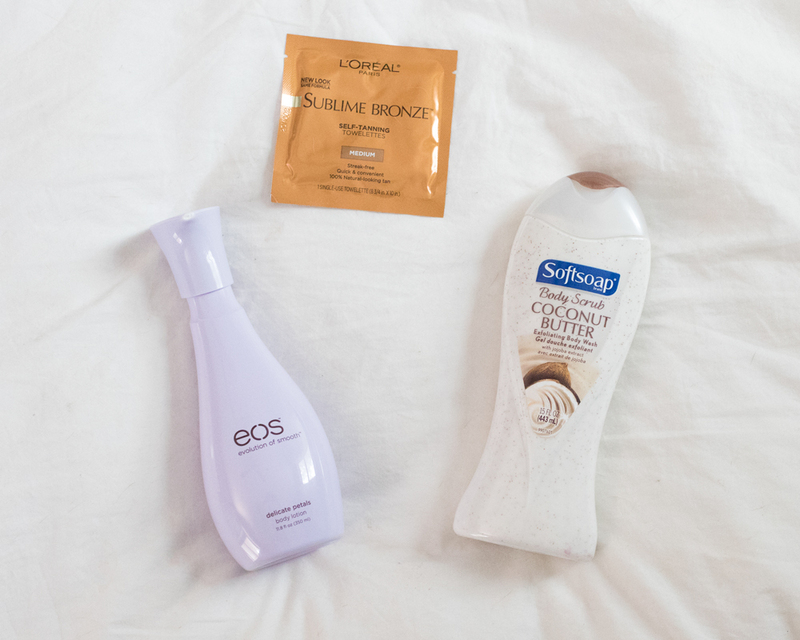 Keeping your skin exfoliated is especially important in the summer! This scrub is super cheap, smells amazing and summery, and is exfoliating and moisturizing at the same time! I've been a devoted fan of Double Wear foundation for over a year now because the coverage and staying power is unrivaled, but picked up the Light formula last week and am just as obsessed! It still has fantastic coverage and is very long-wearing, but is a bit more buildable, allowing for a little more glow if you want it. If Almay ever discontinues this I will legitimately cry because it's the bee's knees and so cheap! It evens out the skin tone under your makeup, makes your foundation go on more smoothly and evenly, and helps it stay longer. I've tried so many high-end primers and this is by far the winner in my experience. This is a new product for me, but I think it's so great for the summer. I don't tan my face, so this product is great because you can put it on alone to give your skin a tan glow that masks imperfections, mix in with your foundation or bb cream to darken them a bit, or use as a bronzer on top of your foundation. This product is so pretty, smells lovely, is very affordable, and has a few great uses! I'll share another use below when I talk about highlighter, but I have been using this lately to mist my face after I've applied my foundation, powder, and other face products (countour, bronzer, blush, highlighter). 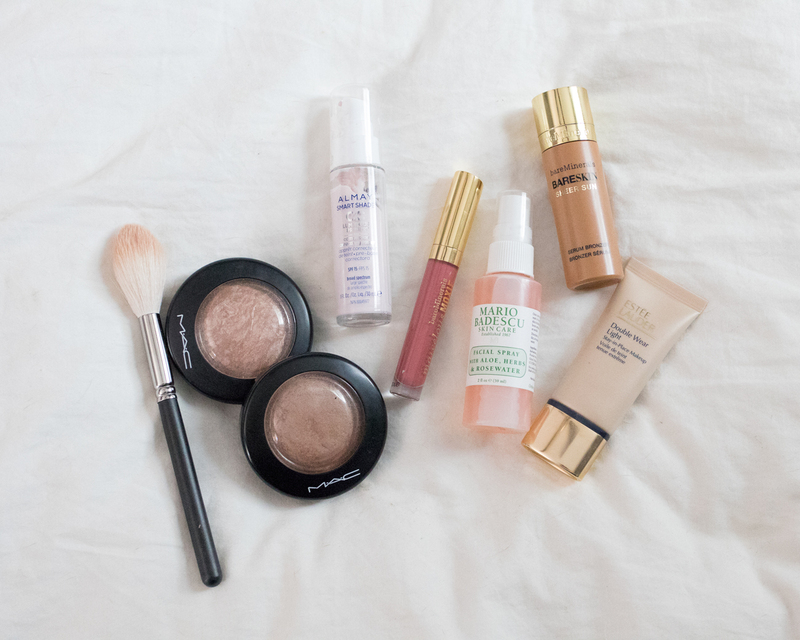 It adds such a pretty glow to your face and helps to make everything look more natural! You all probably know that I'm a big fan of matte lipstick and stains, but sometimes they don't 'go' with a more natural summer makeup look. I wanted to pick up a gloss that I could throw on without a mirror if I didn't have a ton of makeup on and just wanted a light wash of color. 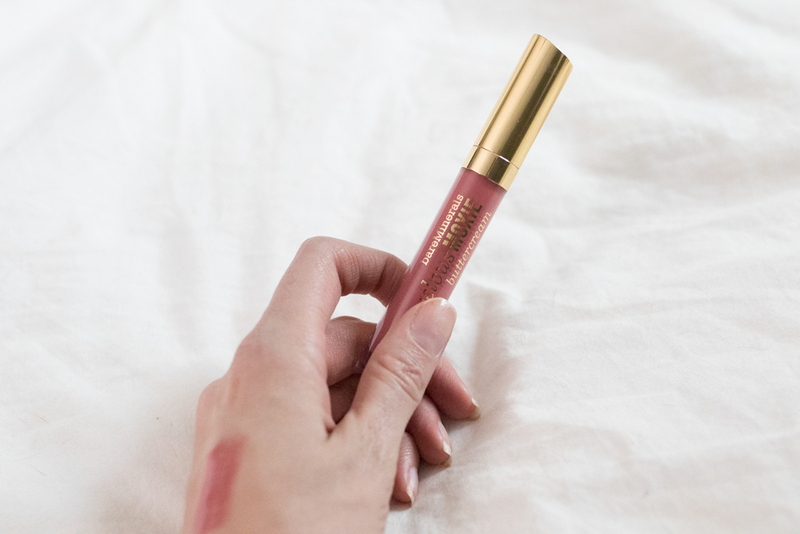 This gloss really is great! It stays put for hours and hours, and this color ('must-have pink') is a really flattering pink that's not too bright or too pale. 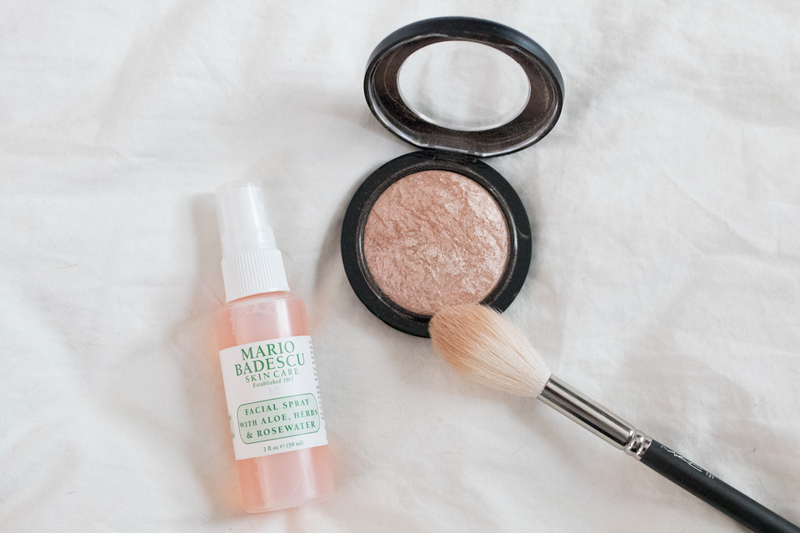 This is the prettiest, glowy bronzer (not sparkly, I promise)! I use this over my contour to blend everything in, and also use it along my hair line. This has been a daily staple in my makeup bag for about a year and a half! This is technically the same product as above, but in a different color and I use it as my highlighter! It's so pretty on, and is very buildable. If I don't want a lot of highlight I just lightly tap my brush in the powder and dust it on the top of my cheekbones. But if I want a little more glow, I use my rosewater spray! I simply spray the brush first, then swirl the brush in the powder. This is one of my favorite beauty tricks I've discovered! 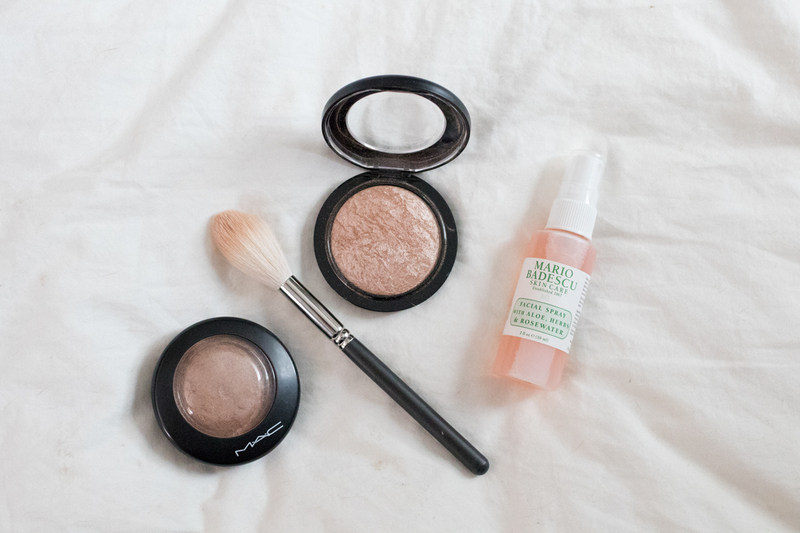 It makes the highlighter go on with a bit more intensity (nothing crazy, promise) giving you the prettiest glow. I also use this down the bridge of my nose, at my cupid's bow, on the tip of my chin, in the middle of my forehead, and above the arches of my eyebrows. 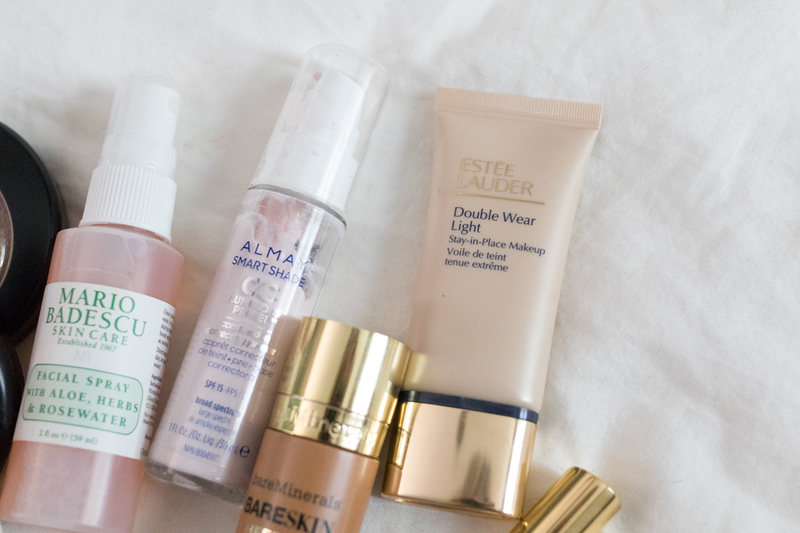 This turned into kind of a long post, but I could honestly discuss beauty products all day, so I hope you enjoyed it and discovered some new products you want to try! If you have any questions or product suggestions, please let me know!